There is a template for everything! 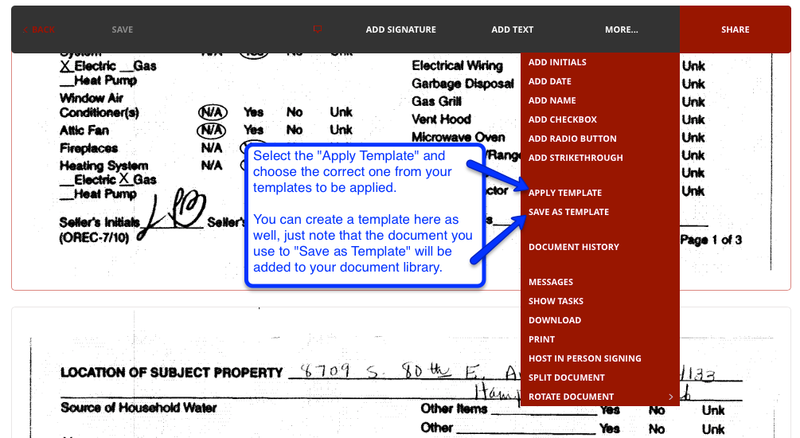 With the recent update to dotloop, you can now use any document and create a “template” to overlay onto another document. 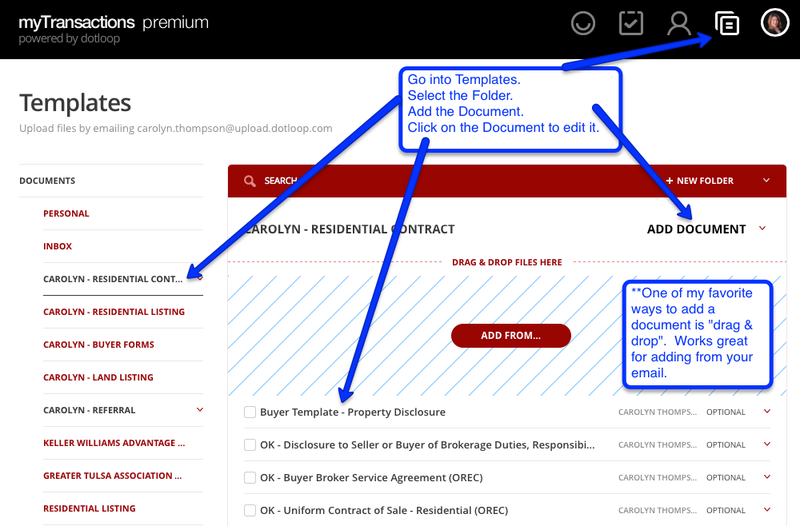 For example, if you receive a disclosure that is already completed and signed by a seller and you only need the buyer’s initials and/or signature you can load that document and save the fields that you have overlaid as a “template” to use again. Another use for this would be states that do not have documents in dotloop and this allows an agent or office to create an “overlay” template to allow the agents or clients to complete and sign them. Let me show you how to do it. There are two ways this can be done, and I’m going to tell you about creating it from your “templates”. First sign-into dotloop and go to “Templates”. Once there, click on your documents and the folder (or create a new folder, for example: Form Templates). Then click “Add Document” at the top right and select your document from your computer. For this example I’m using a property disclosure. With your document added, click on the document to edit it. Using your menu options at the top, drag and drop the field that you want on the document for example: Initials and Signatures. It also helps to assign the “roles” of who should be signing there. Once you have the document the way you want it, click “Save” at the top right. It will take you back to your templates and now your form template is ready for use. In order to apply the template, go into any loop. Add the document that is part signed by the other side, in this case a disclosure. Open the document and click on “more” at the top and then select “Apply Template”. You will notice that you can also create a template from any form as well, but please note that specific document will then be stored in your templates. Select the correct template and voila! The boxes could be a little off based on if the new document was scanned straight or is the same size as the original, but even if you need to make a few adjustments, this still saves you time!